Barcelona captain Lionel Messi will likely be 100% fit to play Manchester United in the Champions League next month after an injury scare. The five-time Ballon d’Or winner picked up a groin problem while playing for Argentina in an international friendly against Venezuela last week. The 31-year-old played the full 90 minutes as his country slumped to a 3-1 defeat, but he has been ruled out of their next game against Morroco on Tuesday. 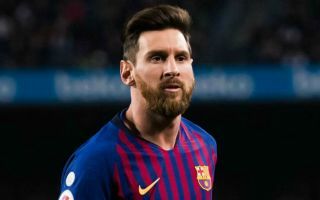 There had been initial fears that Messi would be a doubt to face Man United in the first leg of their European quarterfinal showdown at Old Trafford on April 10, however, the diminutive attacker now looks set for a quick return to action. 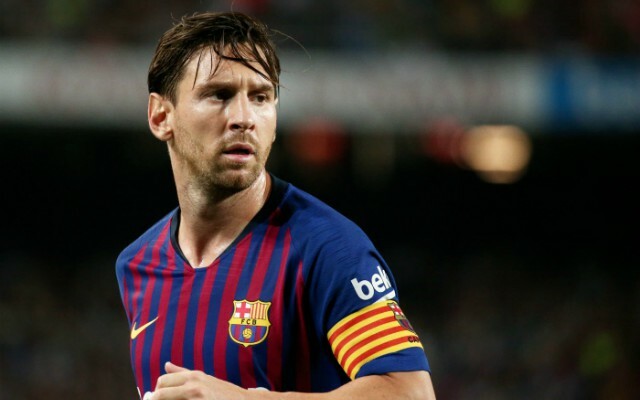 Marca have revealed that Messi is likely to feature against Espanyol in La Liga for Barcelona this coming Saturday, which will come as a huge boost to club boss Ernesto Valverde and supporters. Man United fans meanwhile, will surely be displeased to learn that the biggest threat to their progress to the Champions League semifinals will be fully fit and raring to go by the time Barca arrive in Manchester next month. Some fans might have been forgiven of dreaming about a clash against the Spanish champions without having to contend with the Argentine genius, but now Ole Gunnar Solskjaer will have to come up with a plan to stop him in his tracks. The Red Devils got through the last round by the skin of their teeth against Paris Saint Germain and they will need to produce a similarly spirited performance over two legs to spring an upset over Valverde’s men. That being said, if Messi is in the mood and able to operate at his full capacity then he could quite easily be the difference between the two sides, as he was during the last two meetings between the two clubs in both the 2009 and 2011 Champions League finals.